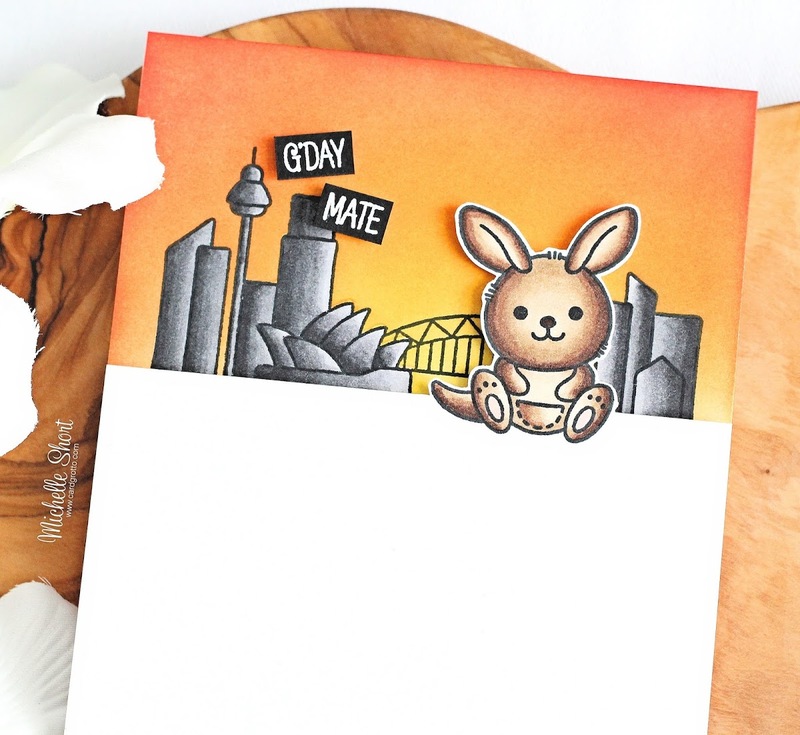 The Card Grotto: Clearly Besotted Teasers | G'Day Mate! 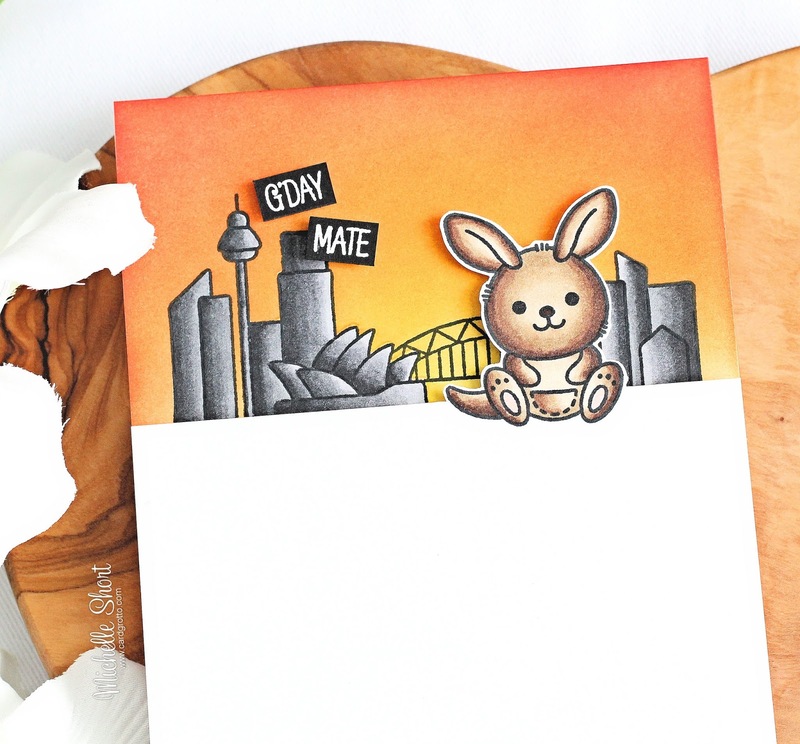 Clearly Besotted Teasers | G'Day Mate! Hello there and welcome to day one of the Clearly Besotted April 2019 Teasers. 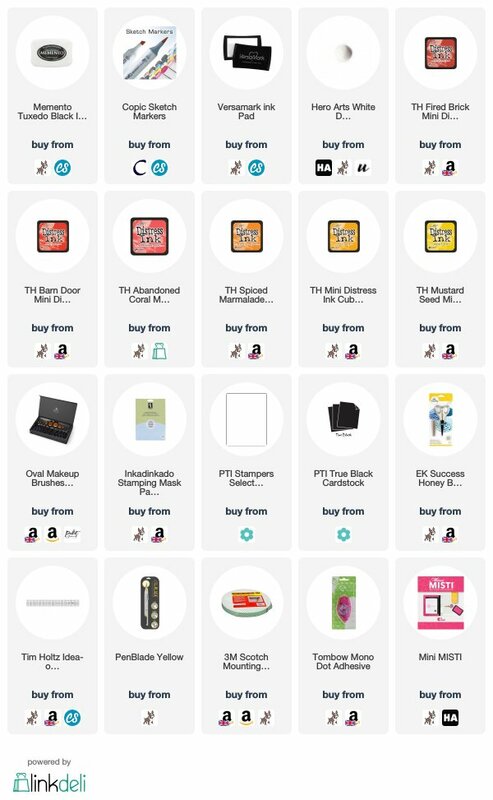 The April release will be out on the 1st April and from now until then, we are sharing teasers with you using the new products. Today I am kicking things off with the new Plushies Down Under set. I started off my card by creating the background. I took a panel of white cardstock and stamped the Sidney Harbour background from the Plushies Down Under set on to the top half using Memento Tuxedo Black ink. I also stamped it on to masking paper. I cut the mask out and added this on top of the image on the cardstock panel. Using a blending brush, I applied Distress Ink to create a sunset sky. I used Fired Brick, Barn Door, Abandoned Coral, Spiced Marmalade, Wild Honey and Mustard Seed. The mask was removed and the buildings coloured with Copic Markers (the colours that I used are linked below) to look like silhouettes. I set this aside to work on my front panel. I took another panel of white cardstock and stamped the kangaroo from the set on to the top right portion. Using a ruler and craft knife, I cut a line across the panel, keeping the image intact. I then cut around the image so that the top portion of the cardstock was cut off but there is a die collection for this set, so you could do partial die cutting if you wanted to. I coloured the kangaroo with Copic Markers and then adhered the background piece to the front of an A2 white card base with tape runner. The kangaroo panel was then added on top with foam tape. I took the sentiment from the set and stamped this on to black cardstock with Versamark Ink. I applied detail white embossing powder and heat set. These were cut in to strips and added to the card with more foam tape. COPIC MARKERS: Kangaroo - E49, E47, E44, E43, E42, R12. Buildings - N10, N8, N7, N6, N5, N3. 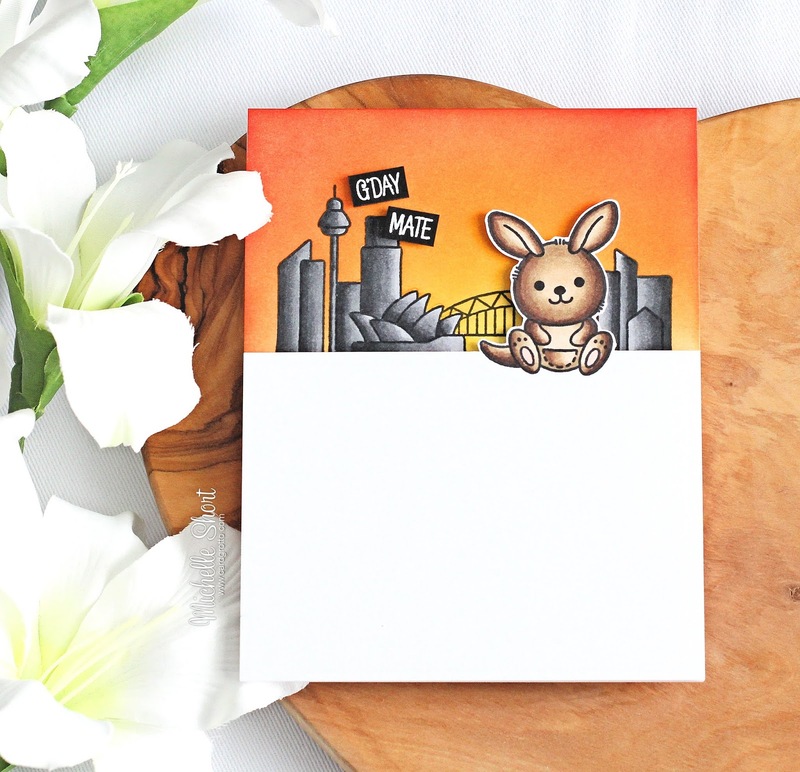 Even though the kangaroo is unlikely to be sitting around the Sidney Harbour in real life, I really like how this card turned out! Please do head over to the Clearly Besotted Blog as well as Keren and Lisa for more inspiration using the new release. Thanks so much for popping by today, hope you have a great day. See you tomorrow for day two! Absolutely gorgeous. Always exciting to see what you have done with the new Clearly Besotted Stamps. This is amazing. Awwwww I've this card! Cuteness perfection!! !